Elon Musk confirmed in a social media and an email to the employees that Tesla had achieved its goals in the last week of June and had produced 5,031 Model 3 cars, plus 2000 Model S and Model X vehicles in the last week, a total of 7,000 cars produced in one week – a record number in Tesla's history. Model 3 production has increased rapidly over the past six months. Mainly due to the large investments and the delivery of new production lines, which are designed by the German branch of Tesla – Tesla Grohmann. One of them was built inside a big tent, which recently became another small factory of Tesla. Accelerated production has made it possible to introduce new options for the Model 3, such as a dual motor drive and a white interior. In addition, the company sent out invitations to configure the vehicle to all those who placed orders in the USA and Canada. 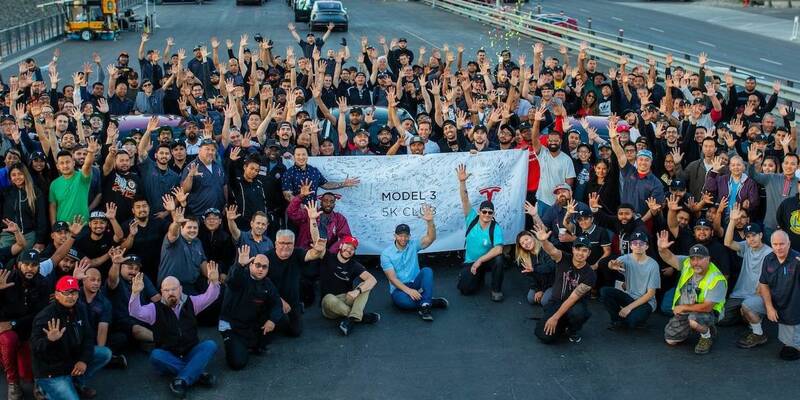 The production of 5,000 Model 3 units per week is a milestone for a relatively young car company. Another goal of Tesla is to achieve a production of 6,000 units of the Model 3 per week, which is expected to be achieved by the end of August this year. The total number of Model 3 orders is approximately 420,000 worldwide. The company has also published quarterly production results today. We learned that Tesla delivered 40,740 vehicles to its customers in the last quarter and produced 53,339 of them, including 28,578 Model 3, which is higher than expected. 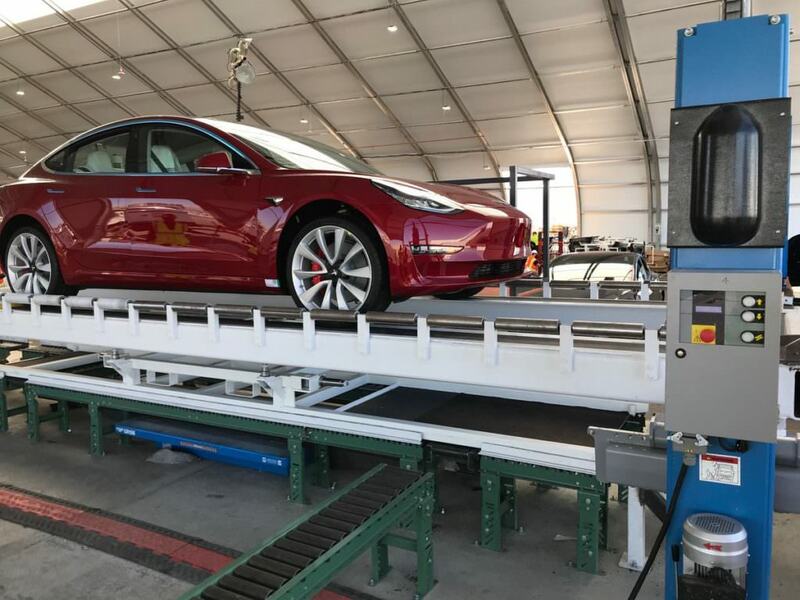 In addition, 13 000 units of Model 3 are in transit. In total, 55% more vehicles were produced than during the first quarter of 2018.